There are a plethora of management and team building guide books in publication. Many offer concise bullet points that are designed to create an ease of execution in the work place. Unfortunately, these pointers often end up being flimsy platitudes that fail to stand up to the complex realities of a company's unique situation. In his take on the subject, Ed Catmull provides his insights on administrating at two of the most successful companies in the world, Disney and Pixar. As one of the co-founders of Pixar Animation Studios, Catmull brings undeniable credibility to the table. He details his humble beginnings as a computer programmer, working to solve problems. His skill at finding solutions to specific computer related tasks earned him his own team of young programmers and thrust him head first into a management position. Catmull writes about his singular goal of creating a full length computer animated film. It was the focus on this goal that drove the first part of his career. Along the way, he teamed with other like-minded, creative individuals such as George Lucas, John Lasseter and Steve Jobs. By surrounding himself with a team of innovative people and constantly evolving his methods, Catmull formed Pixar and ended up reaching his goal with the release of the 1995 film Toy Story. Catmull employs the typical bullet point form to organize his book. Each point receives a full chapter of explanation that contains a history of how Catmull reached each conclusion. For example, one of the main points is "A company’s communication structure should not mirror its organizational structure. Everybody should be able to talk to anybody." 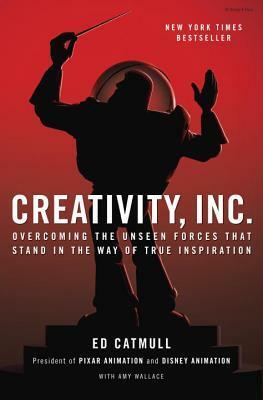 Catmull then writes about the communication structure at Pixar. The company employs meetings of a "brain trust" at key moments of production on each project. This trust usually consists of the director, Catmull or Lasseter, animators, writers, production designers, and not necessarily someone directly involved with the production of the film. The idea is that anyone who has a valid thought about the project is able to voice their opinion during the meeting. Of course, this idea is great in theory, but Catmull admits to the difficulties of actually implementing the practice. He found that it was easy to say that everyone has an equal voice, but many employees still looked to senior management, i.e. Catmull and Lasseter, before they spoke. As such, Catmull had to find practical solutions, such as changing the shape of the meeting table so that everyone sat at an equal position, to truly accomplish this idea. In detailing the real world application of his management philosophy, Catmull avoids the cliche, "yes we can" attitude of many other books of this type. When the sale of Pixar to Disney occurred, Catmull became the head of both animation studios. He had experience in developing a culture of excellence from the ground up, but now he was entering a company with established processes. This was a true test of Catmull's ideology. As it turns out, developing a culture at Disney was not as simple as replicating what worked at Pixar. Instead, his ideas had to evolve to fit the needs of this similar, but very different company. With a string of critical and commercial success at both companies, I think it is safe to say that Catmull has a clear understanding of successful management. The ideas he describes in this book are derived from year of trial and error. In the end, this book does not provide the concise talking points that others have attempted. Rather, it details the complex and rigorous evolution of a manager who learns from and is not afraid to make mistakes. This is a must read for any fan of cinema or any person involved in a creative profession. What if we could rebuild the world as it was millions of years ago? What if we could bring back plants and animals that are extinct? Could we? Should we? 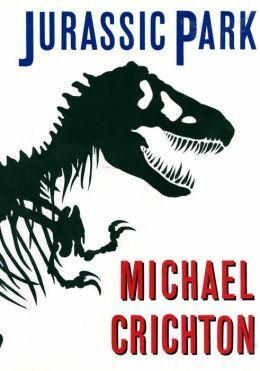 Twenty-five years after its initial publication, Jurassic Park by Michael Crichton continues to thrill readers and dares to tackle the questions of ethics in scientific discovery. A 1993 movie adaptation became a blockbuster, spawned three sequels, and cemented Jurassic Park as a pop culture phenomenon. But as with most book to film adaptations, the novel offers much more detail and a richer overall experience. The corporate world is abuzz with word of Ingen's new project. The corporation is run by the peculiar John Hammond who has funneled large amounts of money into a mysterious enterprise on a Caribbean island. Hammond has assembled a curious team of geneticists, zoological experts, computer scientists, and former theme park managers for his newest venture. As his competitors scramble to discover the secrets of his project, Hammond faces problems of his own. Whatever is being done on the island has caused death and serious injury to some of the local construction workers. Ingen's board sees massive potential in Hammond's endeavors, but they worry about the skyrocketing costs and the inherent physical hazards. In order to ease the minds of the board, investors, and company lawyers, Hammond invites a group of experts to tour his island before it is revealed to the public. Doctors Alan Grant and Ellie Sattler, paleontologist and paleobotanist respectively, are among the experts who are summoned to the island. Grant is much more at home digging up the remains of the long extinct animals he studies, but Hammond's generous funding of his digs does much to persuade him to leave the comfort of his dirt and bones. The duo is joined by Dr. Ian Malcolm, a hot shot mathematician from the University of Texas who specializes in the chaos theory. Also along for consultation is a lawyer hired by the investors, Donald Gennaro. Hammond tells his panel of experts that his high stakes project is a "biological preserve" that he plans to open as a state of the art amusement park. As the group enters Jurassic Park, it becomes clear that this is not a typical zoo. The main attraction is a scientific feat that will revolutionize the study of genetics and create unprecedented profits for Ingen. Jurassic Park is the home to living dinosaurs. At first glance, Jurassic Park is a quintessential sci-fi thriller. Michael Crichton writes of a genetic regeneration program founded in the science of the time (which turns out to be pretty questionable with 25 years of hindsight) to craft a clever narrative of discovery gone wrong. On the surface level, the story works as an effective piece of entertainment. Beyond the stereotypes of the genre, the novel becomes a cautionary tale. In the vein of Frankenstein, the men of science in this novel must face the repercussions of their discoveries. Crichton weaves philosophical questions of morality and responsibility in the face of technological advancement into his tale of exploration and corporate intrigue. This allows Jurassic Park to be a thoughtful commentary on greed and stock driven research while still maintaining a page turning pace. Unlike the movie, the villains of this novel get what's coming to them in deliciously devilish detail that will leave you thoroughly satisfied. Even better, those who practice logic and reason become the heroes of this fable. Twenty-five years later, Jurassic Park remains a smart and thrilling pillar of fantastic storytelling. I'll never forget the first time I read To Kill A Mockingbird by Harper Lee. It was an assigned reading for my high school English class, and I was less than enthusiastic about reading it. Little did I know that it would become one of my all time favorite novels. Unlike some of the other assigned readings that I laboriously slugged through (I'm talking about you, The Canterbury Tales), I was completely enamored with Lee's novel and finished reading it well before the prescribed completion date. Told from the perspective of a young girl, Scout, Mockingbird was a riveting story that tackled issues of race and justice in a way that I easily digested. A recent re-reading of the book only further confirmed my admiration. There is no doubt in my mind that To Kill A Mockingbird is a perfect novel. And so it was with anxious excitement that I began reading Harper Lee's long lost sequel to Mockingbird. The details around the publication of Go Set A Watchman have been mired in controversy since the novel was announced in February. The manuscript of the novel was discovered by Lee's attorney last year. Written in the mid 1950's, Watchman was actually submitted to Lee's publisher as a first attempt at writing a novel. Her publisher was attracted to the many flashbacks of Scout's childhood and encouraged Lee to write a novel from that point of view. From this manuscript, To Kill a Mocking Bird was born. So, Go Set A Watchman was written before Mockingbird, but is chronologically a sequel to the acclaimed novel. 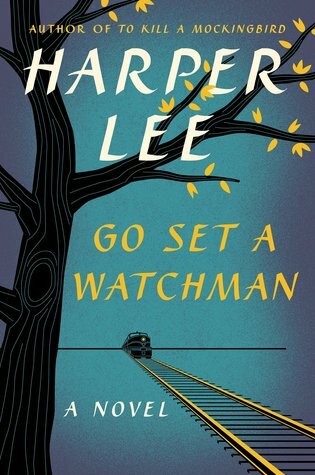 Go Set A Watchman follows a twenty-something year old Scout, now going by her real name Jean Louise, traveling by train from New York to her childhood home of Maycomb County, Alabama. She is the definition of a modern woman. Unlike many of her female classmates, and to the dismay of her Aunt Alexandra, Jean Louise did not settle down and get married after school. Counter to traditional southern culture, she attended a women's college and moved to New York to work. The book follows her return home and her struggle to reconcile her own values with the with the customs and expectations of those who live there. There are many vestiges that point to this novel being the first version of To Kill A Mockingbird. In fact, some passages read nearly word for word in each book, especially in descriptions of places and people. A few inconsistencies about Tom Robinson's trial further confirm this point. Still, Go Set A Watchman, is very much its own story. At the start of this story, Atticus Finch, the infallible father of Jean Louise, is much as he was in the previous novel. While arthritis has slowed him down, the seventy two year old is still the trustworthy lawyer of the town and continues to be Jean Louise's moral compass. He continues his practice with the assistance of Henry Clinton, a young man who became his protege after the untimely death of Jem. But the 1950's were a strange time of social evolution that made men of great integrity do unimaginable things. Much has been publicized about Atticus's change of character. Without spoiling the story, I will confirm that Jean Louise witnesses her father involved in acts that shatter his pristine reputation. Watchman alludes to his past as an advocate for justice and equality, but does not go into a significant amount of detail. Because To Kill A Mockingbird cemented Atticus's reputation as a saintly figure, the reader is able to share the disgust, outrage, and betrayal that Jean Louise feels. Controversy aside, I can completely understand and appreciate the need for Atticus's fall from grace. As Jean Louise observes her father and his companions, she is surprised by the men she sees. They are not the "trash" of the county, but "Men of substance and character, responsible men, good men. Men of all varieties and reputations. "Perhaps the most disturbing part about this revelation is that the Atticus Finch of this novel is still the same character we read about before. He is still kind, dependable, soft spoken. He still cares deeply for his family. He is still a courier of justice. By making our literary hero Atticus Finch involved in racist acts, Lee comments on the instability of mortal idols who can not live up to the high standards we place upon them. If Atticus Finch is susceptible to the ignorance of racism, then who is immune to it? Go Set A Watchman is certainly a novel worthy of acclaim on its own merit. Beyond the obvious theme of disillusionment with idols, Lee touches on gender roles, grief, political process, and self discovery. I was amazed by how timely some of the political discussion was. The novel is set after the landmark Supreme Court decision in Brown vs. The Board of Education. As such, the characters deal with the political and social fallout of that decision. With the court recently passing more landmark decisions on social issues that divide the nation (healthcare, marriage equality), Lee's novel could not be any more relevant. In her signature lyrical prose, Lee's characters discuss the effects of a court ruling and what the true role of the establishment is in terms of the 10th amendment. Readers are never told to think one way or another on the issue, but they are encouraged to think for themselves and form their own opinion. While different from To Kill A Mockingbird, Go Set A Watchman is equally effective as a riveting work that speaks to timeless themes of justice and social morality. The novel only further cements Harper Lee's place as an icon of American literature. The issues faced in both novels are issues we will continue to face and issues that will continue to be written about. As Lee eloquently puts it, "As sure as time, history is repeating itself, and as sure as man is man, history is the last place he'll look for his lessons." In Dexter Morgan, author Jeff Lindsay created one of the most iconic characters of all time and spawned a long-running television series. Now, Lindsay concludes the Dexter saga with his final book in the series, Dexter is Dead. I'm pleased to have two copies of Dexter is Dead to giveaway to lucky readers! 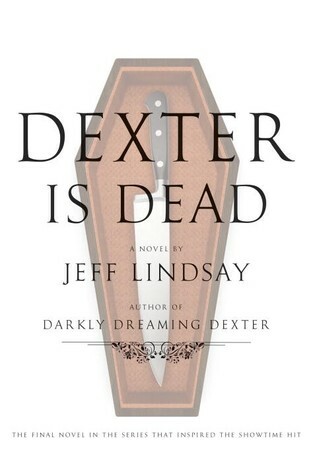 "After seven national bestsellers and eight seasons as one of the most successful shows on television, New York Times bestselling author Jeff Lindsay bids a thrilling farewell to his uniquely twisted and beloved serial killer, Dexter Morgan. Dexter Is Dead is the definitive conclusion of the character who has become a global icon. Dexter Morgan has burned the candle at both ends for many years. Blood spatter analyst . . . husband . . . father . . . serial killer. And now, for the first time, his world has truly collapsed. Dexter is arrested on charges of murder. He has lost everything—including his wife, his kids, and the loyalty of his sister. Now completely alone, Dexter faces a murder charge (for a crime . . . ironically . . . he did not actually commit). His only chance for freedom lies with his brother, Brian, who has a dark plan to prove Dexter's innocence. But the stakes are deadly, and the epic showdown that lies in Dexter's path may lead, once and for all, to his demise. Jeff Lindsay's trademark devilish wit and cutting satire have never been sharper. Dexter Is Dead marks the end of a beloved series, but is also Dexter's most satisfying and suspenseful outing yet." Read my review of Dexter is Dead here! If Dexter is Dead sounds like a book you would enjoy, enter using the Rafflecopter form below. Open to US residents, no PO boxes please. Ends July 27, 2015. Jeff Lindsay's novels featuring serial killer Dexter Morgan have not only become a bestselling book series, but they have also spawned a critically and commercially successful television series. Despite this success, the novels have continually decreased in quality, culminating in a disappointing cliffhanger in the previous novel Dexter's Final Cut. I was ready to give up on this series, but was too intrigued by the title of this novel to not give it a read. After a two year hiatus, Lindsay returns to bring the saga of Dexter Morgan, the affable psychopath, to a definitive conclusion. After years of living a double life, Dexter Morgan finds himself in the very place that he has so diligently avoided. By day, Dexter is a forensic scientist for the Miami Police Department. By night, a serial killer. Focusing his "dark passenger" on those who truly deserve death, mostly criminals, Dexter has maintained a low profile. But now all of that has changed. In a darkly ironic twist of events, Dexter's wife and the man who murdered her are both dead, and Dexter is the only suspect. Take growing circumstantial evidence, add a lead detective's personal vendetta, and you've got one damning case against everyone's favorite murderer. As a result, Dexter finds himself locked in a maximum security prison facing an eternity of confinement for a murder he did not commit. In the previous novel, Dexter went from amiable perpetrator to adulterous prick, making him very difficult to root for. Fortunately, Lindsay corrects this error by stacking the deck completely against him. Beyond the wrongful arrest, the police department is manipulating evidence, falsifying documents, and threatening anyone who dares to question their methods. As diabolical as Dexter's actions are, it is even more deplorable to see the justice system abused in this way. Normally, Dexter's adopted sister Deborah would be the first person to step in and help her only surviving family member, however Dexter's actions in the previous novel have left her unwilling to speak to her brother. With all hope seemingly lost, Dexter finds himself with only one person to turn to. . . his murderous brother Brian. It is refreshing to see an author bring a bestselling series to a definitive conclusion. Like most popular fiction series, the Dexter saga has had its ups and downs. With this final novel, Lindsay recaptures all of the elements that made Dexter a thoughtful, engaging, and satisfying read. Dexter's witty inner dialogue makes him surprisingly accessible. As much as readers can find small ways to identify with the character, Dexter is still a psychopathic killer who has no empathy. Throughout the series, Dexter was motivated by not revealing his secret and keeping his family safe. But he was never able to truly connect to the "family" he camouflaged himself with. By freeing his protagonist from the bonds of his elaborate facade, Lindsay allows Dexter to finally express his genuine thoughts with unapologetic honesty. In the end, Dexter receives a fitting conclusion that is true to the essence of this darkly intriguing character and satisfying to the fans who have read or watched his story over the last eleven years. The late 80's and early 90's saw many adaptations of Stephen King novels. Since then, King has publicly denounced all but a few. I've seen many of these movies and agree with King on his dislike. While most of them employ characters and plot that resemble the story they are based upon, few are able to capture the true horror of the novel. 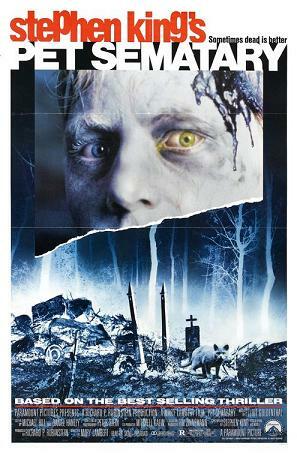 When I stumbled upon the 1989 adaptation of King's Pet Sematary on Netflix, I was ready to write it off as another cheesy King movie. A quick glance at the credits revealed King as the screenwriter, so I decided to give the movie a shot. Surely the master of horror Stephen King would do justice to a film adaptation of his own novel. Unlike many of the truly awful adaptations that I've already mentioned, Pet Sematary, does not solely rely on King's story to scare the audience. As an author, King creates an atmosphere that allows for the horrors of his novels to occur. Thankfully, all of the filmmakers involved in this production bring that same spooky atmosphere to the screen. Accompanied by the hauntingly beautiful score by Elliot Goldenthal, director Mary Lambert opens the film with sweeping shots of the creepy Pet Sematary. As images of the graveyard flash across the screen the audience is immediately filled with dread. There's nothing inherently terrifying about what we see. The sun is shining. Birds are chirping. Still, for some reason, the audience immediately knows that something about this place is not right. It is this opening credit sequence that creates the atmosphere and sets the stage for the horrors to come. The Creed family, mom, dad, daughter and baby boy, have relocated from the city to a rural home in Maine. A busy and dangerous road separates the Creed's home from their neighbor Jud's property. A path on their property leads to a cemetery that is labeled "Pet Sematary". Jud explains that this is where the local children have buried their deceased pets, most of which died on the busy road. When the Creed's family's cat is inevitably killed on the road, Jud takes the dad, Louis, to a secret location beyond the confines of the Pet Sematary. They arrive to an old Indian burial ground where they bury the deceased cat. The burial ground has the power to bring the dead animal back to life, but it does not return as its original self. Rather, the cat stinks of death and has lost its sweet demeanor. Louis works as a doctor where he encounters a man who was involved in a severe car accident. Despite his best efforts, Louis is unable to revive the crash victim. But before the man dies, he warns Louis to stay away from the Pet Sematary. Later, Louis sees the victim in a dream where he is again warned of the dangers of the Sematary. When tragedy strikes the Creed family, Louis is willing to do anything to get his old life that, even if it means ignoring the warnings of the crash victim. Desperate to recover a lost life, Louis returns to the burial grounds and unleashes a horror that threatens to destroy his family and all those who come in contact with them. Atmosphere aside, Pet Semetary offers many terrifying twists and turns that excite and thrill. It is a movie clearly created in the tradition of 1980's horror films. As such, the film contains special effects and overacting by the cast that come off as relics of that era. There is a side plot about the mother's sister that is particularly cheesy in its execution. Still, King's story is unique and imaginative, allowing the film to overcome most of the genre cliches that are present. I found myself terrified in some moments and laughing in others. In the end, Pet Semetary is far from perfect, but is one of the best Stephen King adaptations to come from that time period.